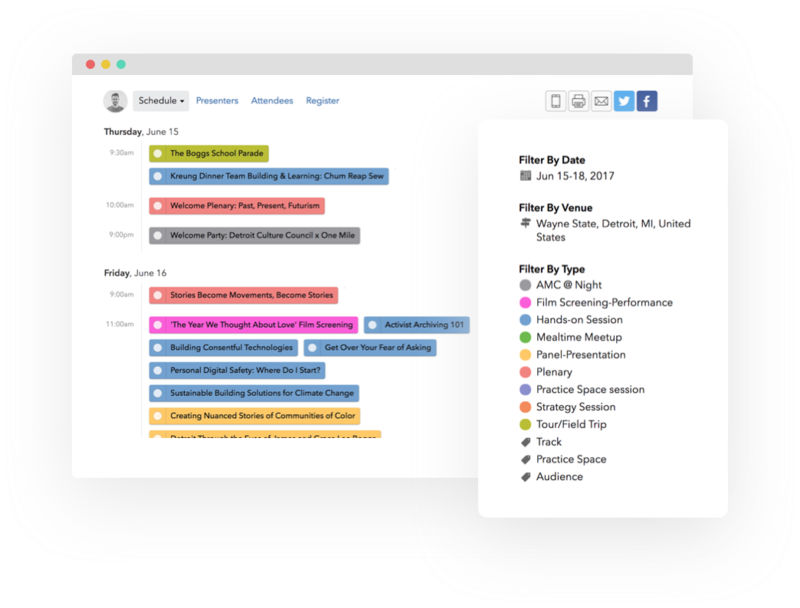 Sched has the tools to help you publish a beautiful dynamic schedule for your event. 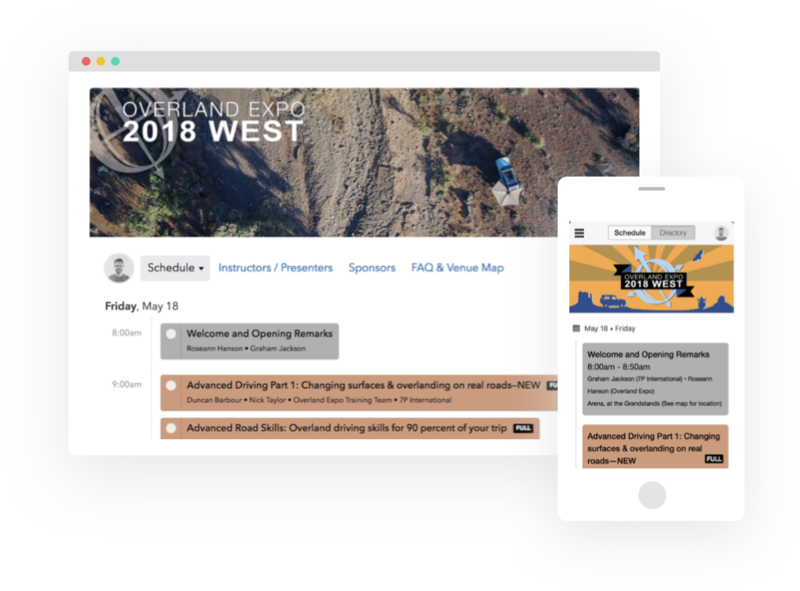 Show off your event schedule with a modern and interactive website, optimized for both web and mobile. When you make a change in your control panel, every version of your schedule will update instantly. Web, embedded versions, native apps, digital signage, and calendar syncs--all at once. 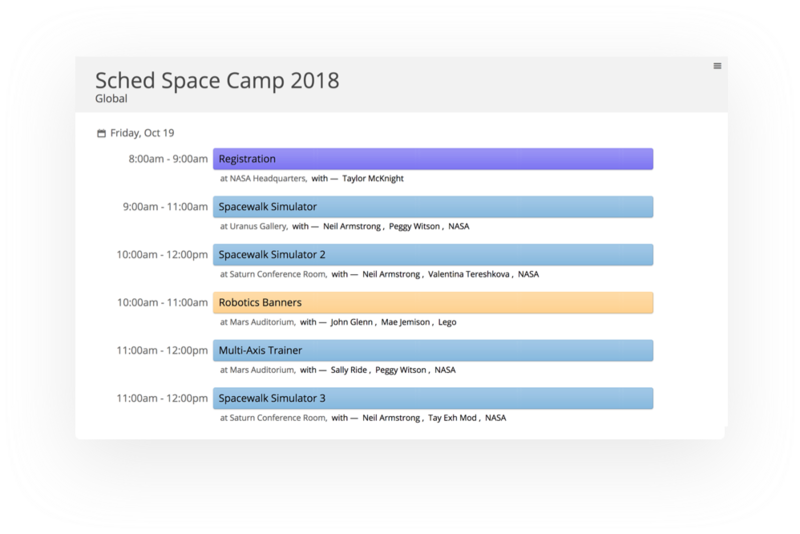 No matter how complex your schedule is, Sched can help you organize it with color-coded session types and custom filters. 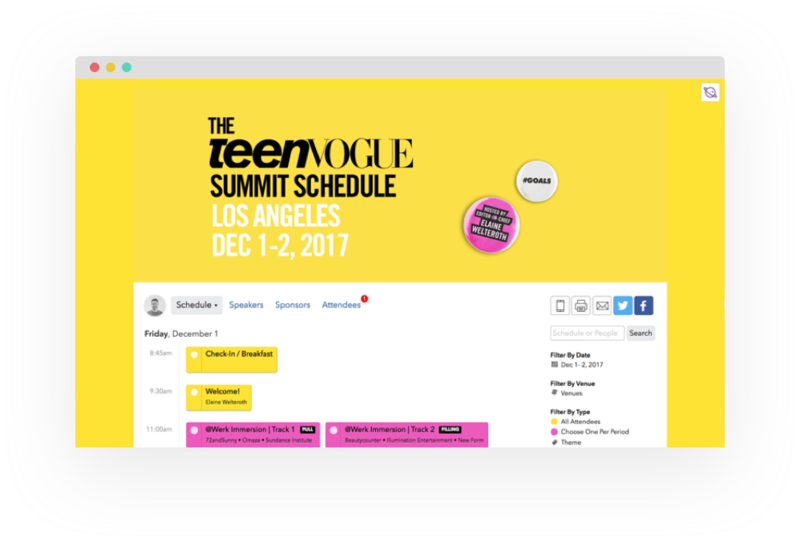 Customize your schedule with CSS, brand with custom banners, and embed your Twitter feed right into Sched for a cohesive brand experience. 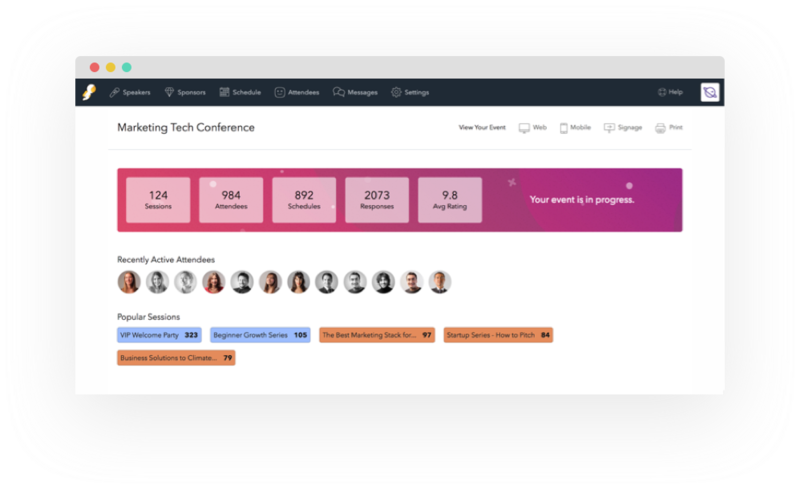 Embed your schedule, speaker list, and event information right into your existing website. Make content changes from your Sched control panel and they’ll be immediately applied on your website. 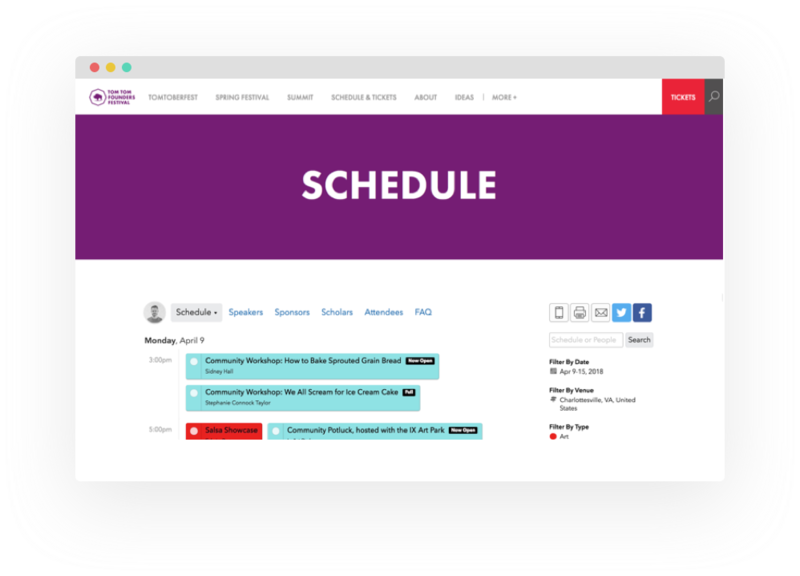 Use digital signage to display different versions of your schedule at your event. As you make changes in the control panel, they'll update automatically.